The special M version is equipped with an advanced floating mechanism and a metal clip to enhance better locking strength and security. It is user friendly and makes colour coding an additional option. 1. The staggered triple locking mechanism provides secured locking even if sudden assertive force is applied. 2. 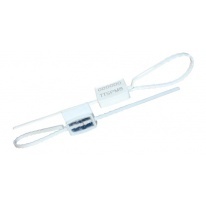 A metel clip further provide great locking strength and security. 3. Ultrasonic welding technology is used to fastened caps to seals. Ultrasonic welding cannot be cut or forced open without clear evidence of tampering. 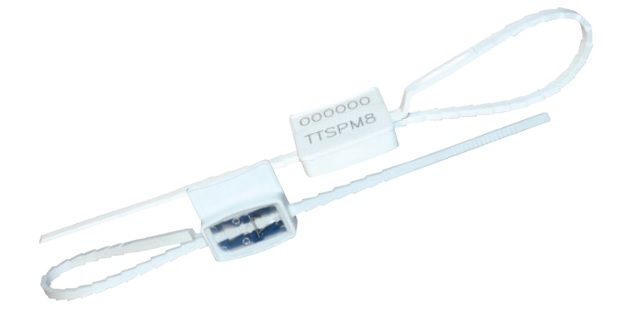 4 Triple tight seals are etched with permanent laser marking for name, logo, sequential numbers & barcode. Laser marking offers the highest level of security as it cannot be removed or replaced. 5. The inspection window is a unique feature which enables quick and easy visual checking of the locking mechanism. 6. Finger grips at the end of the tail make the seal very easy to apply even in extreme temperatures.